IEEE 1394, commonly known as FireWire, is a standard connection type for many different kinds of electronic devices such as digital video cameras, some printers and scanners, external hard drives and other peripherals. The terms IEEE 1394 and FireWire usually refer to the types of cables, ports, and connectors that are used to connect these types of external devices to computers. 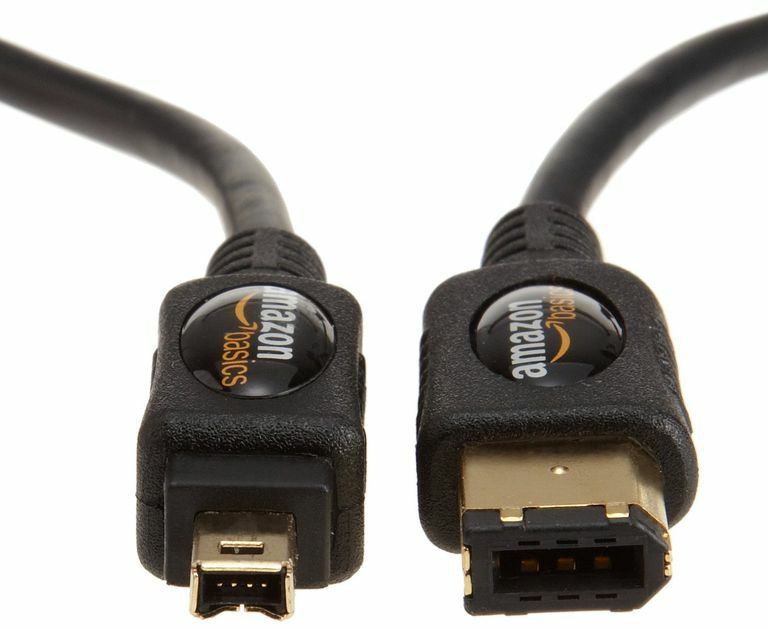 USB is a similar standard connection type that is used for devices like flash drives as well as printers, cameras, and many other electronic devices. The latest USB standard transmits data faster than IEEE 1394 and is more widely available. Apple's brand name for the IEEE 1394 standard is FireWire, which is the most common term you hear when someone is talking about IEEE 1394. Other companies sometimes use different names for the IEEE 1394 standard. Sony dubbed the IEEE 1394 standard as i.Link, while Lynx is the name used by Texas Instruments. FireWire is designed to support plug-and-play, meaning that an operating system automatically finds the device when it's plugged in and asks to install a driver if needed to make it work. IEEE 1394 is also hot-swappable, meaning that neither the computers that the FireWire devices are connected to nor the devices themselves need to be shut down before they're connected or disconnected. All versions of Windows, from Windows 98 through Windows 10, as well as Mac OS 8.6 and later, Linux, and most other operating systems, support FireWire. Up to 63 devices can connect via daisy-chain to a single FireWire bus or controlling device. Even if you're using devices that support different speeds, each of them can be plugged into the same bus and operate at their own maximum speeds. This is because a FireWire bus can alternate between varying speeds in real time, regardless of whether one of the devices is much slower than the others. FireWire devices can also create a peer-to-peer network for communicating. This ability means they won't use up system resources like your computer's memory, but more importantly, it means that they can be used to communicate with each other without a computer at all. One time where this might be useful is a situation in which you want to copy data from one digital camera to another. Assuming they both have FireWire ports, just connect them and transfer the data—no computer or memory cards required. IEEE 1394, first called FireWire 400, was released in 1995. It uses a six-pin connector and can transfer data at 100, 200, or 400 Mbps depending on the FireWire cable used on cables as long as 4.5 meters. These data transfer modes are commonly called S100, S200, and S400. In 2000, IEEE 1394a was released. It provided improved features that included a power-saving mode. IEEE 1394a uses a four-pin connector instead of the six pins that exist in FireWire 400 because it doesn't include power connectors. Just two years later came IEEE 1394b, called FireWire 800, or S800. This nine-pin version of IEEE 1394a supports transfer rates up to 800 Mbps on cables up to 100 meters in length. The connectors on the cables for FireWire 800 are not the same as those on FireWire 400, which means the two are incompatible with each other unless a conversion cable or dongle is used. In the late 2000s, FireWire S1600 and S3200 were released. They supported transfer speeds as fast as 1,572 Mbps and 3,145 Mbps, respectively. However, so few of these devices were released that they shouldn't even be considered part of the timeline of FireWire development. In 2011, Apple began replacing FireWire with the much faster Thunderbolt and, in 2015, at least on some of their computers, with USB 3.1 compliant USB-C ports. FireWire and USB are similar in purpose—they both transfer data—but differ significantly in areas like availability and speed. You won't see FireWire supported on nearly every computer and device as you do with USB. Most modern computers don't have FireWire ports built in. They'd have to be upgraded to do so...something that costs extra and may not be possible on every computer. The most recent USB standard is USB 3.1, which supports transfer speeds as high as 10,240 Mbps. This is much faster than the 800 Mbps that FireWire supports. Another advantage that USB has over FireWire is that USB devices and cables are usually cheaper than their FireWire counterparts, no doubt due to how popular and mass-produced USB devices and cables have become. As previously mentioned, FireWire 400 and FireWire 800 use different cables that are not compatible with each other. The USB standard, on the other hand, has always been good about maintaining backward compatibility. However, USB devices can't be daisy-chained together as FireWire devices can be. USB devices require a computer to process the information after it leaves one device and enters another.